The Government is going to vote the granting of BGN 1.22 billion for the modernization of the Bulgarian Army, and its only condition is the military machines to be manufactured in the country. 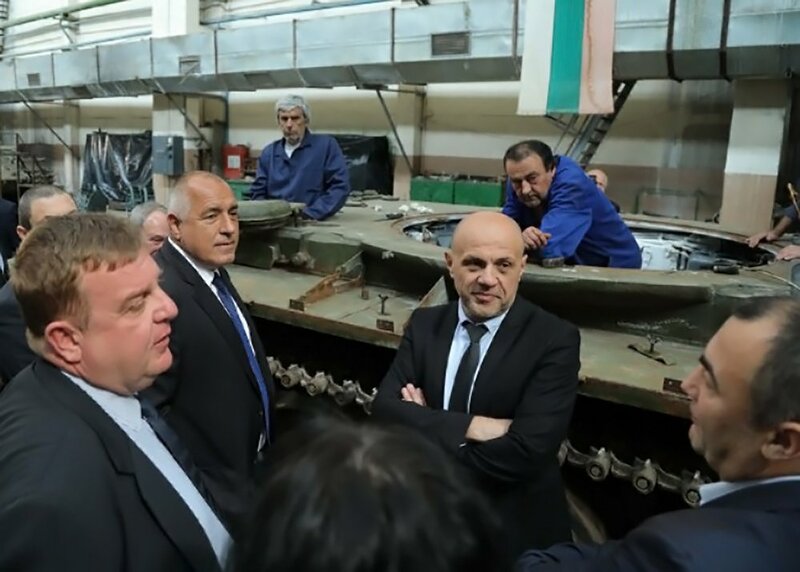 This became clear during the visit of the Prime Minister Boiko Borisov and the Deputy Prime Ministers Krasimir Karakachanov and Tomislav Donchev in the factory “TEREM – Han Krum” in the town of Targovishte on Friday, April 27. “The country allocates enormous amount of money for modernization of the Bulgarian Army. Our aim is to be produced in our country, which will also provide vacancies,” explained the logic of the cabinet Borisov, quoted by the Bulgarian News Agency (BTA). “5-6 companies are interested in the projects for the fighters and the ground vehicles (for manufacturing of a new combat vehicle for the infantry – editor’s note) and have offers for execution of the future orders. The only condition is the machines to be assembled in our country,” added the Defence Minister Krasimir Karakachanov. “I think that this is good news for Targovishte – one of the few towns where the population is increasing,” Borisov cheered up the local people. “It is very easy machines to be purchased from the shelf, we want, especially when it concerns machines for the land forces, the entire potential of the country – both industrial and scientific – to be engaged. This first means that a big part of the money will remain in Bulgaria, as well as additional money for the Bulgarian scientists and engineers – we follow that priority. Unfortunately, things haven’t developed in this way in the course of time. Moreover, if the Bulgarian scientific potential develops, it may look for new foreign customers in future,” explained the Deputy Prime Minister Donchev. The Defence Minister Karakachanov clarified that, at the moment, coordination of the projects for investment costs for acquisition of major combat vehicles for the Land Forces and a new fighter jet is ongoing. It is expected they to be submitted for review by the Council of Ministers at the meeting on May 9. The Project for the combat vehicles is elaborated for 12 years and is worth BGN 1.22 billion without VAT. It includes acquisition of 150 pcs. combat and special vehicles for three battalion combat groups, of systems, and additional equipment, as well as training of the staff as clarified from the press service of the Council of Ministers. Under the second investment project, it will be purchased 16 aircrafts in two stages. During the first stage, which is financially secured by BGN 1.5 billion without VAT, it will be acquired not less than 8 aircrafts, will be ensured resources for ground handling, training of the staff, initial integrated logistic maintenance (for a period of 3 years), as well as the armaments.